To be clear from the start – I'm not here to spook you into breaking up with your rebound. I’m only going to talk about why rebound relationships fail. Rebounds are there to help you recuperate, have fun, and find some satisfaction in the grim post-breakup stage. However, what I want to do is warn you of the possible mistake you can make when you start falling for your rebound. It's not love; it's your old relationship plucking away at your emotional confidence. Disclaimer: This list also applies if you're someone's rebound, and unsure whether or not to accept anymore of his advances. Rebounds are there for a reason: they help you put the proverbial nail in the coffin of your previous relationship. They get you back on track, back on the "market" and boost your confidence. By their nature, rebounds are meant to give both parties much needed affection and intimacy without much attachment. Looking for anything deeper than that will likely result in more heartache and disappointment. If you've come out of a particularly long, emotionally invested relationship, odds are you will compare your new man with the ex. Most likely, if the rebound isn't as satisfactory as the previous relationship, you'll start feeling even more attached to your ex, instead of gradually forgetting him. And when it comes to romance, the sad truth is that we can't get over men as quickly as we'd like. As I mentioned right away – you probably just need a confidence boost. It's good to realize that early on, because it'll save you a lot of misunderstanding. Better yet, it's best if you both agree that this relationship is just a rebound, as your new man will then behave accordingly. It prevents the appearance of mixed messages and misunderstood gestures. After a breakup happens, you will need time to heal. That means spending some time alone and learning how to be with yourself again, before you can be with someone else. Skipping that part will lead to you becoming dependent on your rebound. Again, it can cause far too much heartache for someone who hasn't fully healed yet. Taking that time alone after the breakup gives you enough opportunity to reflect on what went wrong in your relationship. Force yourself to face the ugly truths to help yourself grow and prevent repeating the same mistakes in a new relationship. Learning makes a huge difference between a rebound that is doomed to fail, and one that has the chance to succeed. We all have baggage, bad breakups or good. But what makes a rebound relationship bad soil for future growth is the emotional baggage you drag without checking what's inside. As mentioned before, without reflection and growth, you'll carry all your problems into every new relationship. Rebounds are meant to be brief and lighthearted – because you still haven't gotten rid of the emotional baggage. Pursuing something serious without resolving your issues is a time bomb waiting to go off. If you feel like you're starting to fall for your rebound, take a step back. Then, take a long hard look at him and his personality. How similar or dissimilar is he to your ex? When I was recovering from a long relationship with a sarcastic, snappy introvert, I found a guy who was extroverted, loved to make people laugh and was an outdoorsy type through and through. It was a rebound, we both agreed, but then after a few months of fooling around, we decided to actually become a couple. Needless to say, when we started to do all the things couples did, it quickly hit me what a bad match we were. There I was, wondering why I wasn't over the moon for finally finding someone so open and friendly. When in fact, he turned out to be childish, and too lackluster for me. Don't make the same mistake – just because he's different, your rebound isn't necessarily good boyfriend material. When you don't set the ground rules for your causal rebound (or friends with benefits), you have fertile ground for a lot more headache than necessary. Know how long you want this to last (until you start feeling better or get back on your feet). Talk to your partner, and tell him what you want, checking what he needs as well. If nothing is communicated before you start the relationship, it's only a matter of time before it fails. More importantly, check what you want with yourself first. See if possible heartache and emotional turmoil are really worth turning a rebound into a relationship. It's extremely rare, but possible. As I mentioned before, my rebound turned into a relationship, and while it taught me a lot, much sadness and disappointment could have been avoided. If only I decided not to take that path. However, not all post-breakup relationships are rebounds. 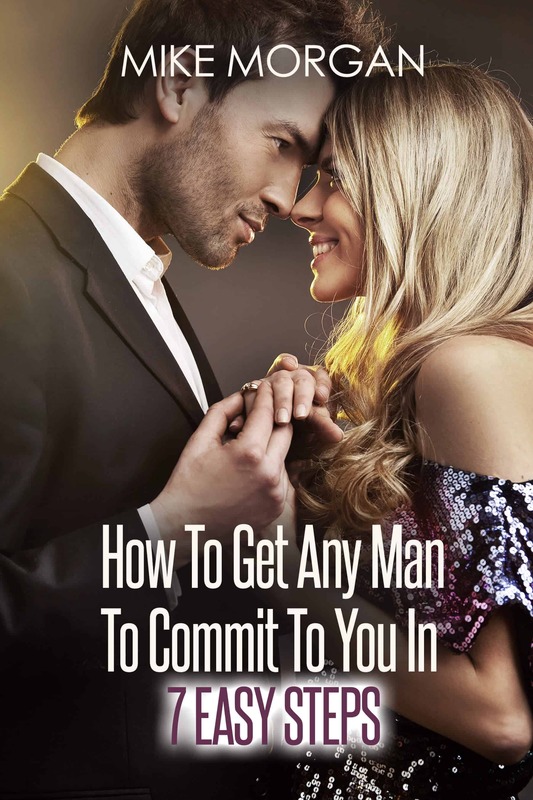 When a long term relationship is about to end, we tend to pick up on the subtle hints a few months earlier, take a look at the bigger picture, and more often than not, live through the relationship's slow deterioration. During that time, we already learned from our mistakes, reflected and now know what needs to be done in the next relationship. So, when we do find a new partner, friends and family may understand it as a rebound, and dismiss it. But in reality, we've already come so far, that we're able to form a healthy relationship. We know better how to behave, what to do and what to say, to make this relationship last much longer. Sadly, I can't make this decision for you. While some rebounds do work, the ugly truth is that most of them won't. We can be fragile, hurt, and hungry for affection all too soon after a breakup, and it opens us up to a bunch of mistakes. What I can do is offer you these bits of advice that I wish someone had shared with me. Stay strong, be confident, and keep your future self unburdened from your past mistakes.